Why can’t they have their own anti-progressive university? That’s the question Rick Hess and Brendan Bell of the conservative American Enterprise Institute asked recently. The problem runs deeper than they want to acknowledge. It’s not only about funding or hiring; it is rooted in the O word, a central but unexamined assumption of conservative higher-ed thinking over the past hundred years. inclined to critique feminist tropes, study the benefits of traditional marriage, or pursue other lines of inquiry that don’t comport with regnant mores. Hess and Bell sound markedly like the campus liberals they seek to escape – an ivory tower of their own is nothing if not a plea for a safe space. Jones doesn’t mention it, but there is a bigger nuts-and-bolts problem with Hess and Bell’s plan, too. Founding a university might be easy, given enough money. But starting an elite institution from scratch is not, no matter how deep one’s pockets. Hess and Bell list examples of success, from Stanford and Johns Hopkins in the past to my alma mater Wash U recently. But they don’t note the many failures, such as Clark University a century ago. Nor do they seem aware of unsuccessful plans from the twentieth century, such as Hudson Armerding’s detailed scheme to establish an elite multi-campus evangelical university, as I describe in Fundamentalist U. Even those challenges might be overcome, though, if Hess and Bell’s plan weren’t doomed by a deeper structural flaw. Like many conservative higher-ed dreamers before them, Hess and Bell do not adequately grapple with the O-word. That is, they do not understand the deeper implications of the concept of orthodoxy in the world of higher education. the progressive orthodoxy at today’s most prestigious institutions of higher learning. And there’s the rub. As I argue in Fundamentalist U, in spite of generations of talk about orthodoxy in conservative institutions, real orthodoxies are few and far between. Why does it matter? If Hess and Bell, like their conservative forebears, truly hope to open a new school “oriented by a clear mission,” they need to define clearly their guiding ideas. It is not enough to target “progressive orthodoxy,” precisely because there is no such thing. We might agree with Hess and Bell that elite American institutions are guided by “regnant mores” and “regnant conventions” that conservatives don’t like. But there is a world of difference between mores, conventions, and real orthodoxies. An orthodoxy is precisely something that even Hess and Bell admit doesn’t exist in this case, “a concerted, organized effort” to define truth and falsehood. An orthodoxy is relatively easy to both attack and defend. If there really were a progressive orthodoxy in American elite higher education, Hess and Bell’s plan might stand a chance of success. And because so many higher-ed pundits tend to throw around the O-word so loosely, it is not surprising that Hess and Bell don’t notice the problem. Maybe the case of conservative evangelical higher education will help clarify the O-word dilemma. As I recount in Fundamentalist U, starting in the 1920s most conservative-evangelical colleges promised that they were founded on evangelical orthodoxy. The problem is, they weren’t. They were founded to be conservative safe spaces for religious students and faculty. They also had to remain broadly conservative and broadly evangelical in order to remain attractive to a wide range of fundamentalist families. As a result, they never were able to establish a true orthodoxy. That is, they never established a clear list of religious tenets by which every challenge and crisis could be decided. There were exceptions of course. 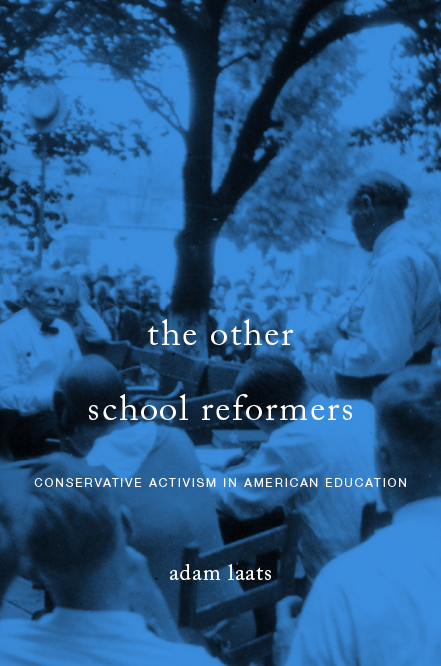 Especially at denominational schools, leaders were able to clear some of the fog of American conservatism by following the path of specific orthodoxies. In the 1920s, for example, Princeton’s J. Gresham Machen opened a rare school that actually adhered to Machen’s vision of Presbyterian orthodoxy. As a result, Machen earned the scorn of other evangelical school leaders by allowing his students to drink alcohol. Booze wasn’t forbidden by any actual theological rule, Machen reasoned, but rather only by the “regnant mores” of American evangelicals. The results of the absence of true orthodoxy in conservative-evangelical higher education may seem odd to readers who don’t grasp the implications of the O-word. Historically, we saw cases such as that of Clifton Fowler in Denver in the 1930s, when a school leader charged with sexual and theological peccadillos was allowed to continue his depredations by a blue-ribbon panel of evangelical college leaders. statements are in total contradiction to Christian truth. This isn’t just benign confusion: This is heresy. In the case of Hess and Bell’s dreams, making policy about those mores and conventions is far more difficult than challenging real orthodoxies. Mores and conventions are plastic, fluid, flexible, and nearly infinitely defensible. Orthodoxies are rigid, clearly defined, and easily subject to dispute. The false assumption of orthodoxy has punctured the dreams of generations of conservative higher-ed thinkers. Hess and Bell shouldn’t be blamed for not recognizing the problem, because writers from both left and right tend to see orthodoxy when there isn’t any. Fundamentalists in the early twentieth century falsely assumed an evangelical orthodoxy that couldn’t exist. Hess and Bell flail against a progressive orthodoxy that doesn’t. A “high-protein diet” of conservative evangelical Christianity for the Cabinet. How much public school can you buy for $25 million? Not as much as this billionaire wanted, at PI. HT: MM. The “free-speech crisis” is worst at evangelical colleges, says Sarah Jones at NR. Not so fast, says Professor Chris Gehrz, at PS. There isn’t a free-speech crisis at evangelical institutions. There can’t be. Right here at ILYBYGTH. Peter Greene asks: Why are we still giving Big Standardized Tests? “Teaching for homecoming:” Why Wendell Berry thinks education is dangerous, at Forma. Pro-choice “callous and violent,” says Ross Douthat at NYT. The progressive perfidy of “dialogue:” Rod Dreher at AC. Have you seen it yet? Sarah Jones recently excoriated evangelical higher education as the home of the real free-speech crisis. Students and faculty alike, Jones reported from experience at Cedarville University in Ohio, are continually deprived of any right to authentic self-expression. She’s right. But that doesn’t mean there’s a free-speech crisis at evangelical colleges. There can’t be. Why not? It’s not for the reasons Pietist Schoolman Chris Gehrz describes, though he makes an important point. As he argues, different evangelical schools have hugely different records and policies when it comes to free speech. And it’s not because Jones misses the boat on the ways evangelical colleges restrict student and faculty speech. I agree with her entirely that the environments of many evangelical campuses can be restrictive, oppressive, and even dangerous. When students don’t feel free to report sexual assault or abuse, for example, they are put in a horrible position. Yet even granting the truth of Jones’s alarming exposé, I don’t agree that evangelical colleges represent the real free-speech crisis in American higher education. They can’t. Evangelical colleges don’t have a free-speech crisis any more than my school faces a religious crisis for not adequately teaching students how to be good Christians. We don’t want to train good Christians. And evangelical colleges have never wanted to open their chapels, classrooms, and cafeterias to unrestricted speech. Rather, as I argue in my recent book about evangelical higher education, restricting free speech is a central, defining element of the tradition. It sounds sinister when I say it like that, but it’s true. Professor Gehrz is absolutely correct that some schools today have stricter rules than others, but for almost a century now, the point of evangelical higher education is precisely to impose certain restrictions on faculty and students, restrictions abandoned by mainstream colleges. To suggest that these restrictions are part of a “crisis” misses the point. Please don’t get me wrong: I sympathize whole-heartedly with Jones and the other students and faculty who dislike their alma maters’ heavy hand. I would dislike it, too. But that heavy hand is not a “crisis.” It can’t be. It is the entire raison d’etre of evangelical higher education. Fathers and mothers who place their sons and daughters in our institution can go to sleep at night with no haunting fear that some skeptical teachers will steal the faith of their precious children. At Bob Jones College, as at all the schools that joined the fundamentalist movement in the 1920s, restricting faculty speech was a primary purpose, not an unfortunate necessity. Unlike mainstream colleges, including mainline Protestant ones, fundamentalist colleges would willfully impose strict lists of mandatory beliefs for faculty members. They would impose long list of behavioral rules for students. And they insisted always that their goal was to shape students’ hearts in a certain religious direction. will be a place Christian parents can send their children to with the confidence that their faith will be established and not shaken. In other words, the entire point of the network of dissenting evangelical colleges was to police faculty belief and student thought. Evangelical colleges that restrict speech these days don’t face a crisis. They fulfill a promise.